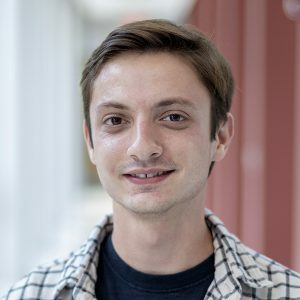 Joseph Monaco wins Chancellor’s Undergraduate Teaching Fellowship. His project entitled, “Interview inspired assignments for teaching essential programming techniques” will be incorporated into the high-level, computer science, data structures course for which he will serve as co-instructor. The undergraduate teaching fellowships, awarded for joint student-faculty teaching projects and administered by the University Honors College (UHC), are offered to encourage the enrichment of course offerings and to improve teaching through the collaboration of faculty members with students in the planning and implementation of creative teaching projects.